Our proprietary curriculum and cutting edge equipment ensure the best training experience for pilots seeking initial type ratings, ATP certificates, SIC training, or insurance-approved currency training. We offer a variety of comprehensive Citation Jet Training programs designed to meet the individual needs of advanced and career-oriented pilots. Our Citation Jet Training Course are designed for pilots seeking aircraft type rating. Initial training and recurring training are offered. Please click on each tab for more information on each course. Get your Citation Jet Training now! 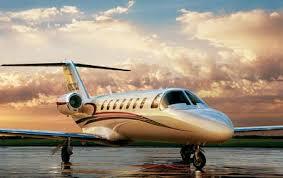 For Citation Jet rating our Citation Jet Training includes Citation Jet Training and Citation Jet Second in Command. We use a combination of ground school and simulator and Citation Jet Training Flight Time. This training approach is compatible with insurance guidelines. Our instructors bring extensive aviation experience and our training courses are focus on achieving results in a short period of time. This type rating course leads to the Pilot in Command type rating. This type rating will be added to a FAA Private, Commercial, or Airline Transport Pilot license. All Our Citation Jet Training courses meets the FAA Type Ratings practical standards (which is the same as the ATP practical test standards). Upon completion of the practical test, a Pilot in Command type rating (for PIC type rating) will be added to your FAA license. Since the practical test and check-ride is completed in the aircraft, there will be not be any restrictions on your license. Premier Jet Training (and all Citation Jet Training Programs) is approved by the Department of Homeland Security – Transportation Security Administration (TSA) to provide training to non US Citizens and foreign nationals. The applicant will need approval from the TSA before commencing simulation and aircraft training. Please click here (www.flightschoolcandidates.gov) to go directly to the TSA application website to start the application process. For any information about our Citation Jet Training Courses, please call us today!